Specifically, with 291 horses awaiting and a race-bred suspension underneath, Lancer Evolution is a vehicle that craves for “track days” at Sonoma, Watkins Glen or Road America. Standard features include some of the most respected brands in motorsports, like high-performance Brembo disc brakes, Bilstein shocks, Eibach springs, Recaro seats and BBS 18-inch alloy wheels on Yokohama performance tires. In addition, a rear mounted battery, front mounted inter-cooler, Sportronic paddle shifters and impressive “twin-clutch” automated six-speed automatic add to the racing gene pool. “MR” nomenclature stands for automatic transmission ($38,195 base), while a GSR Evo badge equates to a five-speed manual ($34,995 base). All Evolutions come powered by a twin scroll turbocharged 2.0-liter four-cylinder developing the aforementioned 291 horses and 300 pound-feet of torque. Power then transfers to all four wheels via an advanced all-wheel-drive system. We took our Evolution to a closed road course and came away amazed at what $38,195 buys these days. Once you nestle in and buckle up, Evolution’s special seats snug and hold you in place as hard cornering g-force grip overwhelms your senses. Our tester came with the automatic transmission, which performed excellent whether up or down shifting. Of course, high-performance like this comes with some tradeoffs. Not since we test drove Nissan’s 370Z have I been bounced and roughed around a cabin like the Evo, as each and every road irregularity is delivered to the seat of your pants. Acceleration? We ran several zero to 60 exercises, coming away with five second flat thanks to the front Helical limited slip differential. Fuel economy suffers, as the horsepower and twin clutch automatic (in place of a high stall speed converter) does use more fuel and results in 17 city and 22 highway EPA numbers. Inside, Evolution has lots of plastic and shares pieces with other “normal” Lancers, something we’d like to see the manufacturers address for the sake of return on investment. Granted, there are aluminum pedals and some extra sporty trim, but a car that costs $40K deserves more interior consideration. Standard safety features include seven airbags and the traction controls, along with high-tech sports car designed handling systems to assist drivers. To my dismay, the rear parking safety sensor is optional. Standard features include fog lamps, flared fenders with side and hood vents, aluminum hood, fenders and roof panel (to save weight), sport gauges, hi density headlamps, all the powers, cruise, air, 6.1-inch touchscreen, satellite radio and much more. Our tester came with a Premium Package for an additional $1,900, featuring a 710-watt Rockford Fosgate nine-speaker sound system, fast key entry, leather/suede seat upgrade, center console and a chrome grille surround. A $2,150 Touring package adds a power sunroof, upgraded leather, auto on/off headlights, heated front seats and side mirrors, rain sensing wipers, sound dampening, and auto dim rear mirror. 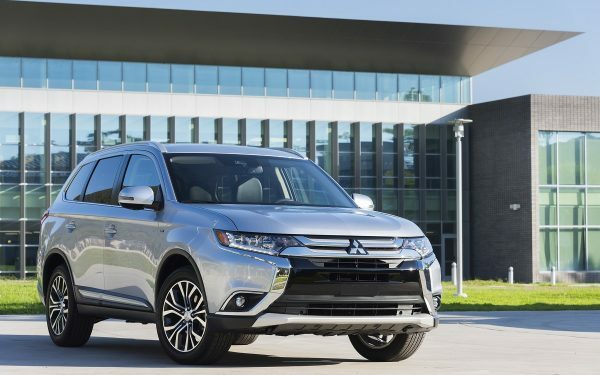 As for cargo space, Mitsubishi puts the battery, windshield washer reservoir and the 10-inch Fosgate subwoofer in the trunk, resulting in better weight distribution but leaving just 7.0-cu. ft. of cargo room. Thank goodness there’s a nice size area in the back seat, or your three suitcase trips would be difficult. Important numbers include a wheelbase of 104.3 inches, 5.5-inch ground clearance, 14.5 gal. premium fuel tank, and 3,527 lb. curb weight. With 2014 Lancer Evolutions awaiting your visit, Test Drive recommends enthusiasts giving it a try. I promise you’ll be just as impressed as I am. Likes: Amazing power and acceleration, top class handling, wolf in sheep’s clothing. Dislikes: Rear backup safety optional, lots of interior plastic, seats don’t adjust up and down. Mitsubishi has surpassed Subaru in what can only be described as a fierce rivalry between two rally inspired offerings that offer all wheel drive performance and turbocharged power plants. Although Subaru’s WRX STI is a formidable opponent and nothing to scoff at, Evo’s 6-speed Twin-Clutch SST (TC-SST) automatic transmission offered in the MR model puts it hands down over the top in terms of drivability and on-track performance. Introduced in 2009 and developed by Getrag, TC-SST features near instantaneous gear changes through three pre-programmed modes (Normal, Sport and S-Sport) which deliver shifts with varying levels of comfort and quickness. TC-SST is designed more like two three speed manual transmissions put together than a regular six speed automatic transmission, which allows gear changes to occur in fractions of a second and on demand. In essence, one half of the transmission houses odd numbered gears and the other deals with three even numbered gears. Each with their own clutch, when the driver or computer commands a gear change, the transmission swaps clutches and the gear change occurs. Downshifts are extremely crisp and take slightly longer due to the engine raising RPMs to deliver smooth changes. Upshifts are near instantaneous and gratifying to say the least. I could not bring myself to drive this car with the shifter in the D position. I was constantly commanding gear changes with Evo’s console mounted shifter, which much to my delight is oriented in a push up for downshift and pull back for upshift position. In addition, Evolution offers launch control with the TC-SST transmission, which is activated by pressing both the brake and gas pedals all the way to the floor. The engine quickly hits a two step limiter at about 5,000 rpm and when the brake is released, Evolution slips the automated clutch for a smooth yet somewhat head jerking response. This is one of the beauties of TC-SST: The ability to act as a manual transmission while providing the drivability and instantaneous command of an automatic. My objective to these blog posts are to give a younger perspective to my father’s car reviews, and I must address those in my age group who are not very receptive of the idea of buying an Evolution in automatic transmission trim. Please give the Evolution MR a test drive before jumping to conclusions about “boring” automatic transmissions. The TC-SST option will add about three grand onto the final price tag, but considering the transmission costs about $9,000 for an average Joe to purchase brand new, it’s not a bad deal. Just don’t break one out of warranty. 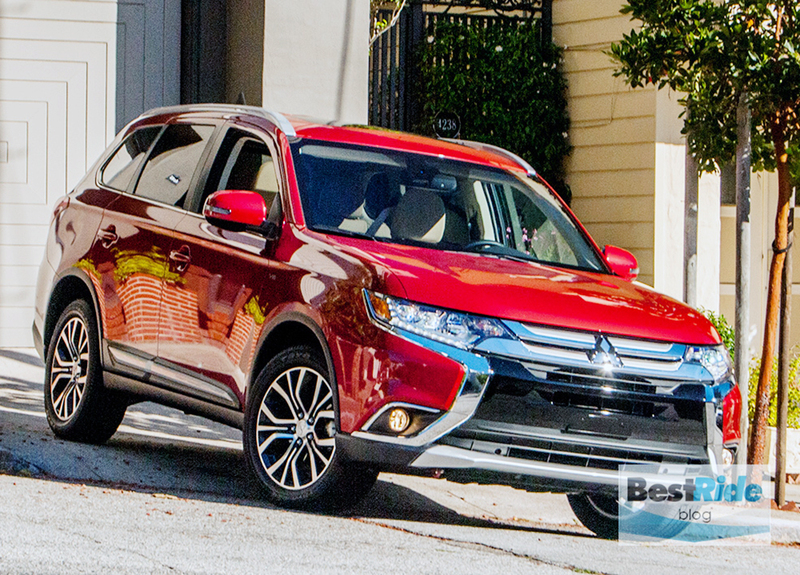 The reliability of the four year old transmission may still be a question of concern – but Mitsubishi backs the car with a 10 year/100,000 mile warranty. I’ve been driving in vehicles since my father has been testing cars for over 10 years now, and I’ve driven quite a few myself in recent years. If I was able to purchase only one vehicle to use for the rest of my life, this would be it. The car is fast, it accelerates from 0-60 mph in about 4.5 seconds. Being all wheel drive, it will handle snow conditions with ease. Mitsubishi’s Super All Wheel Control system helps enormously in tricky conditions while it controls the vehicle’s active center differential, active yaw control and active stability control. Its suspension is well suited for the track and the car inspires confidence on twisty roads with one of the most aggressive turn-ins that I’ve experienced in a street car. A small flick of the steering wheel at speed will bring about a balanced entry and some tire squeal as well. The ride comfort is certainly not Mercedes-like and can only be described as bumpy, yet it didn’t bother me much at all. In conclusion, I stand by the comment that if I was in the market for any vehicle up to a $45,000 price, this would be the one I chose. REVIEW: 2015 Mitsubishi Lancer Evolution, Is It Really All That?